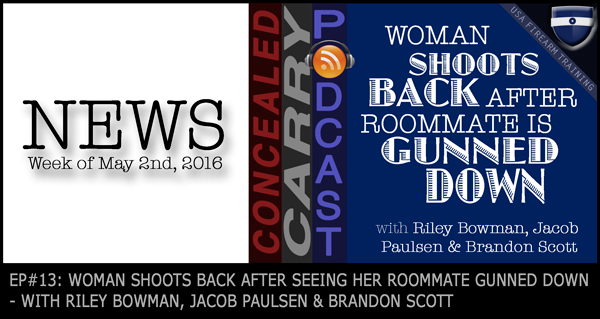 In today's episode we talk about a Washington woman who defends herself after seeing her roommate shot and killed and a Montana citizen who pulls off the famous kill shot. An NYC official is arrested in connection to taking “permit bribes” and someone is getting shot over their seat choice in a PA church. This and more on today's episode. Like Harold, this was my first episode too. SUPER impressed. I was shocked to see how few episodes are actually out. You guys sound like you’ve been doing this for YEARS! I’m on a mission to find the BEST carry podcasts, and you guys are definitely on the list. I’ve shared a brief glowing review with 22,000 of my Google Plus acquaintances on “Guns Across Google” community. I’d love to see you rock the charts on iTunes. The only constructive criticism I could find for the review might actually help since you guys are early (with bandwidth etc). Probably, the file size is about twice what it needs to be. Maybe tweak the bit rate? Can’t wait to dive into more episodes, as a new carry permit holder. Thanks AJ… I forwarded your input to our producer… see if we can’t make the right adjustments in that direction!